In Eastern Lapland, where there are 10 times more reindeer than people, you can feel that you are on real holiday in the middle of wilderness, silence and wonders of the nature with its 8 different seasons in a year, and to have a holiday break like no other. This type of wilderness areas are rare in Europe and they offer wide range of activities like fishing, berry and mushroom picking, trekking, biking, canoeing, chasing Northern Lights and experiencing the real nature. You may bump into a reindeer herd, as during the summer time they like to cool off at the village bridge over the river Luiro. 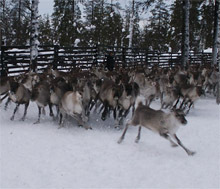 Despite the fact that the village has been inhabited since 1700 –century, reindeer still have their own traditional routes. 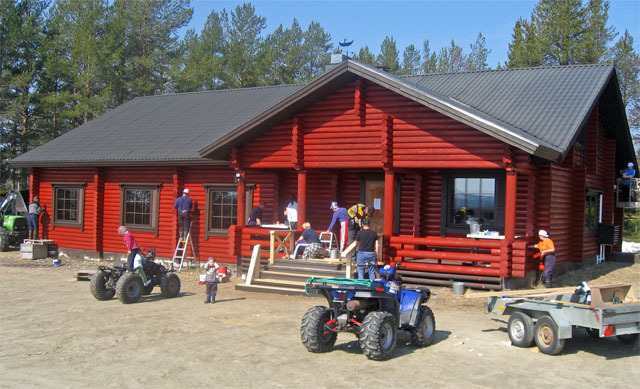 Several times each year the reindeer herds are collected together and if you are lucky you might be able to attend this traditional event and enjoy a cup of coffee at the campfire with the reindeer herders. In the Tanhua village area there are several marked trekking routes to enjoy hiking and to have snack or lunch at the marked campfire places or in a wilderness hut. Markkinaselkä hut (Markkinaseljän kota) can be reached by foot or by skiing from the village center (route is app. 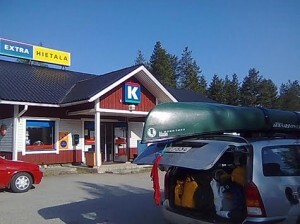 5,5 km), from there you can continue to Hietavaara fell and lake route (app. 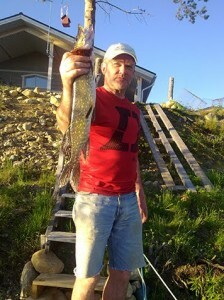 8 km) with a place to swim in arctic clear waters. Old Angelvaara fire guardian cabin on Angelvaara hill, shows a bit of history how during summer times youngster were employed to look around for forest fires while staying a week on a high fell. Saarivaara log fence for gathering reindeer together, is a historical place with a few log cabins telling a story of large reindeer herds in old days. Also sami people’s old winter camp place can still be found there. also the Northernmost Salpalinja bunkers can be seen right after Savukoski center. Geological history is available at Kivitunturi route with several camp fire places and shelters. A steam engine train (Phoenix Centiped) located nowadays at Tuntsa was brought from USA in 1912 and was used to pull the logs from the wilderness forest area to Kemijoki river to be floated to the industrial factory needs. If you continue the local road to Lokka you are able to see the man made lake, dam, which is also a great water for fishing. Saturdays from 8 a.m. to 2 p.m. and during summer time also on Sundays (11 a.m. – 3 p.m.). In addition to the food supplies also fuel is available and gas to gas stoves, caravans and motor homes. Regular mail services are also available. The village house ”Messula” was build 1993 – 1995, the logs were first cut down from the forest, dried, shaped and then used to build the village house. Messula offers local program throughout the year, like reindeer race on the river in late wintertime, dancing and different other events. Messula is available also for private use.